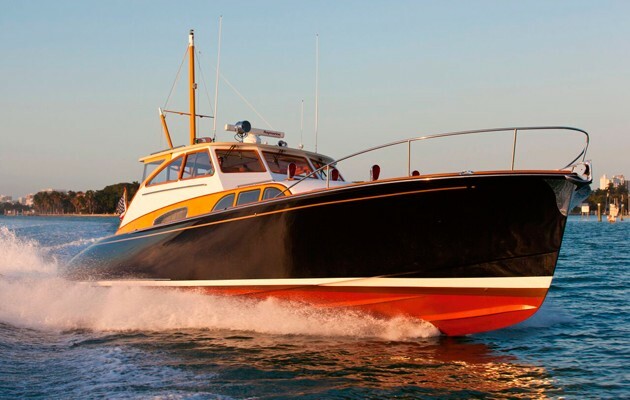 You are here:Home » Category: "Boat Sales"
Motorboat & Yachting: An extremely rare Chris-Craft Continental 21 from 1961 will be going up for auction at Auctions America’s upcoming Fort Lauderdale event. A rare 1960s boating nostalgia is due to go under the hammer, with this 1961 Chris-Craft Continental 21 set for auction in April. One of the earliest examples of a hardtop sportsboat was built in October 1960 and launched the following year. The auctioneers says that 96 models were built in the original production line but only 12 models are known to have survived to the present day. The standout feature is a factory-fit glass fibre hardtop with aluminium supports and hinged gull-wing hatches for ease of boarding. Power comes from a single 275hp V8 engine and the interior has been meticulously restored in retro pastel colours. The current owner claims to have spent more than $100,000 doing her up, making the estimated price of $125,000-$150,000 (including trailer) all the more remarkable. 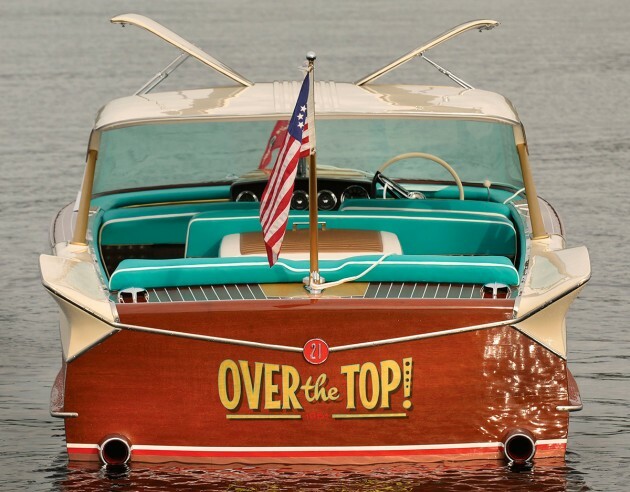 Over The Top is set to be auctioned off on April 2 at the County Convention Center as part of Auctions America’s Fort Lauderdale Sale. Chris-Craft is one of America’s oldest, founded in Michigan in 1874 and is the most highly-revered boating brands. In the UK, new models are available through primary dealer Bates Wharf. Motorboat & Yachting: Two Russian investors look to become newest owners of Fairline Boats and plan to keep production in Britain. 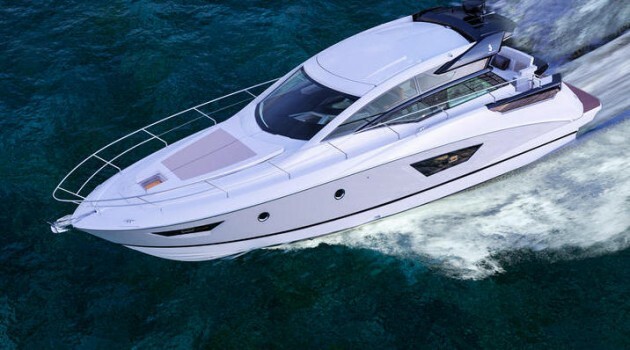 Fairline Boats looks set to sold to Russian investors Alexander Volov and Igor Glyanenko in a deal that is due to be announced later this week at the Dusseldorf Boat Show.The Russian businessmen have made an offer to buy the company for a fee of £4million. Former Fairline head of yacht sales, Karl Gilding has been named as Director of Fairline Acquisitions Ltd, however he stressed this is a temporary measure to facilitate the sale.“We have made the offer, we have paid a deposit, but until such time as the cheque is paid the company isn’t ours”. 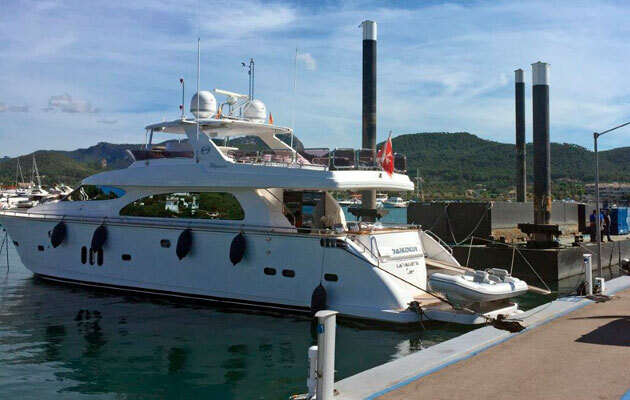 The investors will take responsibility for finishing all remaining uncompleted boats, and they plan to resume production before analysing the state of Fairline’s model range to decide whether it needs to change or not. Administrators FRP Advisory refused to confirm the deal, despite their deadline for offers passing last Friday. Primary UK dealer Bates Wharf plans to relaunch the Fairline brand at the British Motor Yacht Show in May. Motorboat & Yachting: A leaked image appears to show the new Princess 75, which could be getting a public launch at the London Boat Show. Back in September, when Princess Yachts revealed the renderings of its next two models – the Princess 75 and the Princess 49 – the smart money seemed to be on the smaller of the two models getting launched first. However, it now seems that it is the Princess 75 that will be ready in time for the London Boat Show, after this behind-the-scenes picture was leaked. 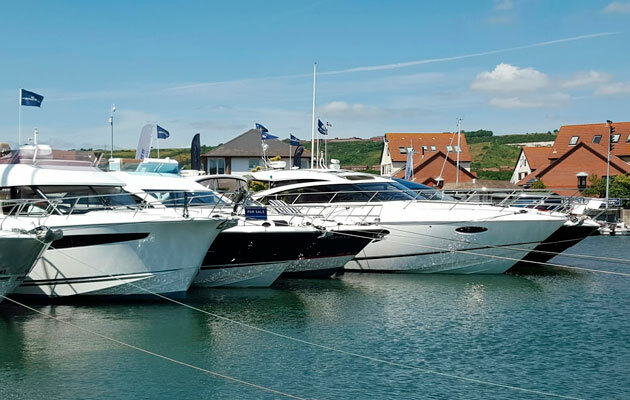 The news comes less than a week after Princess Motor Yacht Sales released a full-line-up of 11 boats due to make the journey up from Plymouth to London, with the Princess 88 as the star attraction. There was no mention of either the Princess 49 or the Princess 75, much to the consternation of Princess Yachts fans hoping for a brand new model to view. But if this leaked picture is to be believed, then it seems like the Princess team had a rather large trick up their sleeve all along. Early details indicate that the Princess 75 will be fitted with a choice of three engines, the most powerful of which being a twin MAN V12 1800 set-up, capable of a top speed of 36 knots. Motorboat & Yachting: The French boating giant has announced that it will be launching the Bénéteau GT46 at next month’s Paris Boat Show. Not content with the impending launch of the Swift Trawler 30, Beneteau has revealed that it will also be launching a new 44ft sportscruiser at the 2015 Paris Boat Show (December 5-13) in the form of the Bénéteau GT46. As the pictures above show, it bears more than a striking resemblance to the Beneteau GT40, which was launched this summer. However, the new arrival will also come with a full-beam owners cabin amidships as well as a forecabin that can be set up as either a double bed or a V-shaped twin berth. A three-cabin layout with bunk beds replacing the lower saloon will also be offered as an alternative. Power will come from a choice of Volvo Penta engine set-ups, either IPS 600 or twin 400hp sterndrives. This should carry the Bénéteau GT46’s second generation Air Step planning hull to a top speed of more than 30 knots. However, the modestly sized 900l fuel tank means this model will be more suited to short-range coastal cruising than tackling long passages. The main galley is situated on the lower decks to free up more socialising space in the open-plan cockpit/saloon, although those looking to cook al fresco can make use of the transom wetbar and grill. Other key features include electrically opening side windows, curved galley skylight, and high-low hydraulic bathing platform. Motorboat & Yachting: The number of superyachts available for charter in Spanish waters has risen significantly over the past two years, according to a new report. The Spanish Government’s decision to drop matriculation tax has given a massive helping hand to the local superyacht charter market, according to figures recently released by the Spanish boating association AEGY. In its 2015 report, AEGY reveals that there are now 86 yachts over 20m that are currently available for charter in the Balearics, compared with just 29 in 2013, before the matriculation tax laws changed. As a result, the Balearic superyacht charter market is now worth €12.5m (£8.8m) a year to the Spanish economy in terms of taxes and local spending. Back in 2012, matriculation taxes were bringing in just €4m for the whole of Spain, so AEGY argues that the decision to drop this levy on superyacht charters was the right one. Diego Colon, president of the AEGY, said: “We recognise that there is still work to do to ensure that the bureaucratic and fiscal procedures related to chartering and operating superyachts in Spain are simplified and streamlined. “However we are confident that these statistics will strengthen and support our lobbying initiatives.” He added that six of the eight major international brokerage companies now have offices on Mallorca. The AEGY report also estimates that there are 600 superyachts (over 24m) currently available for charter in the Mediterranean, and predicts the total for Spain is likely to hit triple figures by the time the 2016 superyacht charter season rolls around. Motorboat & Yachting: Grammy award winning singer Billy Joel has turned his hand to yacht design once again with the 57ft Vendetta. Billy Joel has teamed up with Zurn Yacht Design to create a new 57ft motorboat, which was unveiled at the Fort Lauderdale International Boat Show earlier this month. Vendetta is a 57ft commuter yacht, which the Grammy award-winning singer designed to get him from his Long Island estate to the centre of New York City. Billy Joel has a strong track record with designing motor yachts – his previous launch, a 38ft Zurn runabout, has been reproduced more than 50 times in the past ten years. Motorboat & Yachting: The German boatbuilder has revealed details of the Bavaria Project DA10 ahead of its planned Spring 2016 launch. Bavaria Yachtbau has released detailed renderings of its upcoming new arrival, which is being developed under the codename Project DA10 and features a number of bold new ideas. For this 40ft semi-displacement design, Bavaria has teamed up with Netherlands design firm Vripack and the Dutch influence is clear to see. Project DA10 will feature single-level walkaround side decks and a saloon that is almost entirely encircled by glass. Both flybridge and sedan versions will be available with a lower helm that is situated in the centre of the boat, towards the rear of the saloon. Below decks, owners will have a choice of a two or three-cabin layout, with the former boasting a full-beam master suite and VIP forecabin. However, those who want to maximise their capacity can opt to have two crawl-in double berths in the rear, as well as a V-shaped twin cabin in the bows. Out in the cockpit, the DA10 will feature a large wrap of outdoor seating and a staircase that folds out of the transom moulding. Engine options are by Volvo Penta, ranging from 75hp to 300hp, and Bavaria explains that Project DA10 has been “designed not for speeding, but on economical cruising, safety, comfort and a travelling in harmony with nature”. Further details and an official model name for Project DA10 are due to be announced in January at the 2016 Boot Dusseldorf exhibition, ahead of its planned Spring 2016 launch. Motorboat & Yachting: Worldwide used boat sales have risen by 2.6% in value over the past nine months, according to the latest report from YachtWorld. The used boat market is growing, according to the latest YachtWorld Market Index report, which shows a 2.6% year-on-year rise in the total value of used boat sales over the past nine months. What’s more, the report also shows an increase in the total number of used boats sold, which is up by 7.8% for Q1-Q3 2015 to 30,450 models changing hands. Breaking down the figures, the US used boat market saw a 4.7% rise by value, whereas in Europe the increase was just under 2.3%. Looking at the specific motorboat brands, Jeanneau was the most popular, with 93 models changing hands on YachtWorld in the past nine months, ahead of Fairline and Sealine who were tied on 85 each. All of the key British brands fared well overall – the 55 Princess Yachts sold were worth the most, with a combined total of €11.58m in value, while Sunseeker fetched the highest average price of €864,986. Jeanneau models were found to change hands the quickest of the top brands, with an average time to sale of 241 days, which is well below the overall average of 326. John Burnham, managing editor of YachtWorld, said of the report: “Small but steady gains were the norm in the yacht brokerage market in the US and Europe. Sealine F380: First impressions of the new compact flybridge. Nick Burnham from Motorboats Monthly gives his verdict after his world-first test of the brand new Sealine F380. Motor Boats Monthly has taken the first ever test drive of the brand new Sealine F380 flybridge model. MBM boat tester Nick Burnham was the first journalist in the world to test out the new Sealine and described its performance as “superb”. 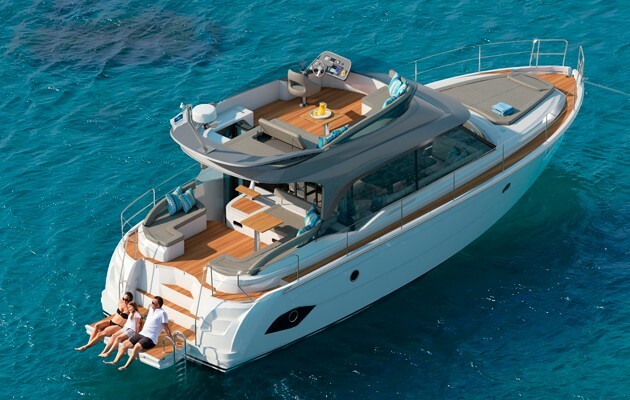 Unveiled in January at Boot Dusseldorf 2014, this 38ft flybridge model is the first to be launched in Germany. After 40 years as a staple of the UK boatbuilding industry, Kidderminster-based Sealine went into administration in April 2013 and the name was subsequently bought by German boatbuilder Hanse.